Without spoiling even a single thing about BioShock Infinite, it should be pretty clear to everyone on the Internet that the game itself is gorgeous. Ken Levine, and everyone at at Irrational Games, is probably patting themselves on the back right now for the game’s review scores. That said, it could have potentially been made even better with, say, an isometric point of view. That’s exactly what Christopher Bischoff has done. The isometric point of view is the class angle used in games like Icewind Dale, Baldur’s Gate, and the like. Bischoff also happens to currently be working on a game called STASIS, which he describes as an indie sci-fi horror adventure game. Let that sink in for a bit. 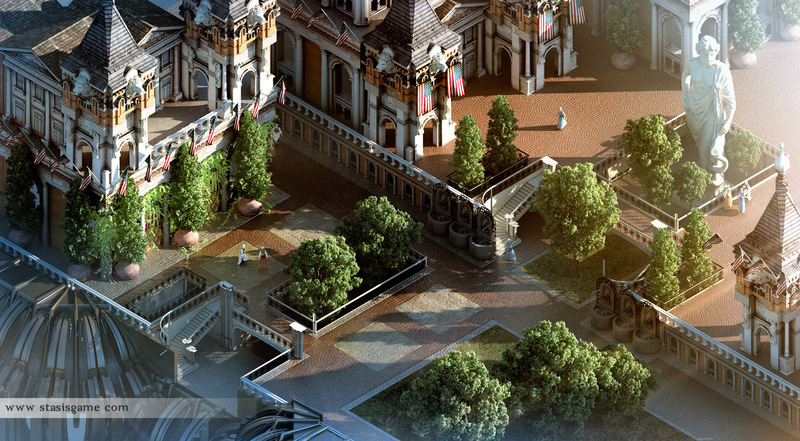 As something of a little side project, and after acknowledging the beauty of Infinite‘s Columbia, Bischoff took matters into his own hands and produced an isometric version of the floating city. It lacks a certain steampunk flair that an airship or Handyman could have easily rectified, but it’s still a beautiful look at what could have been. Plus, we’ve definitely got a slew of other isometric point of views coming out here shortly thanks to games like Wasteland 2 and Project Eternity.